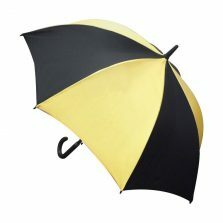 Looking for custom golf umbrellas? 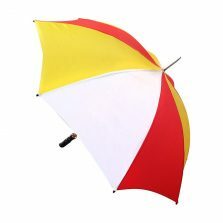 Welcome to our customised golf umbrella service. We have a huge selection of great golfing parasols. However, if you cannot find the particular canopy colour you would like, then that’s absolutely no problem. 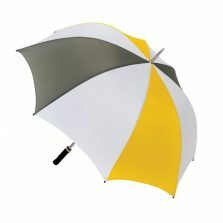 Now you can actually design your own custom umbrellas from a selection of over 50 different panel colours. 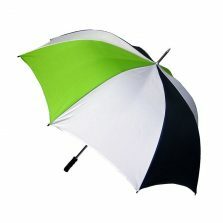 Take a look at the custom golf umbrellas above and select the frame that suits your needs. There's the traditional Bedford golf for example... Or the totally storm proof Eclipse with its rigid, twin-fluted, tempered steel frame - or there's also an automatic golf umbrella. Each has a choice of handles to suit your need - from pistol-grip, wooden or rubber straight handles or a smart wooden crook handle - the choice is yours. The choice of panel colours does not effect the cost. It's the same price for a single colour canopy or up to 8 different colours. So go ahead and design your very own custom umbrella - oh, and the price falls the more you buy! Place your order today and we'll create your custom umbrellas at our UK factory in just a few weeks. 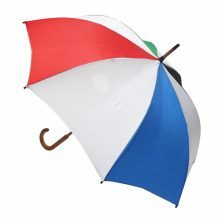 Just think for a minute about the possibilities: brollies in the colours of your club, your favourite team or to match the colour theme of your special event. So, why not push the boat out and get your very own unique umbrella?